*Price per device. Purchase of USC is required! *Price per device. Quantity must be 10 or greater. Purchase of USC is required! *Price per device. Quantity must be 25 or greater. Purchase of USC is required! Encryption isn't only for making sure data stays safe from prying eyes outside your business. It's also useful for enabling secure collaboration and controlling files inside it. SafeGuard File Encryption goes beyond simple folder permissions and guarantees that only the right people can read the right files while still allowing IT to manage files and backups. Get industry-certified encryption that's already protecting millions of computers and devices in companies like yours. Performs file and folder encryption, encrypting all files inside specified folders. Persistent encryption keeps your documents encrypted. Know your data is safe, even if your users move or copy files to other locations or devices, preventing unwanted decryption. Uses strong, standardized encryption algorithms that are secure and fast. The algorithms include AES-NI support for hardware-based encryption with latest Intel i5 and i7 processors, making it even faster. Allows only authorized users to read encrypted documents. Encrypts documents transferred to the servers, so they can't be sniffed on the wire. Our file and folder encryption keeps your documents safe. Don't rely on file-system-access control. Cryptographic protection cannot be circumvented. Protects confidential documents for critical or sensitive company departments. Keep your Intellectual Properties and Personal Identifiable Information safe, as well as HR, finance and management data. Enables protection of personal data-such as My Documents or user home directory on network shares-according to privacy laws. Especially on networks with lots of users. Central key management allows only authorized users access to protected documents. Provides failsafe recovery of encrypted files, even after years on a backup tape. Know your company data is protected if your IT infrastructure is outsourced. Let system and network administrators manage your IT, without giving them access to sensitive data. Separates administrative duties so network administrators can handle files for back up or housekeeping, but don't have access to read or modify documents. Security officers can manage encryption policies, but you can block them from accessing files. In the case of a data breach, administrators can prove that they were never able to read the content of leaked files. Hierarchical security officer management lets you delegate policy management to authorized security officers. 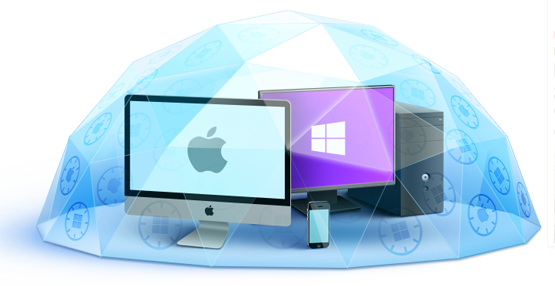 Use our SafeGuard Management Center to install and manage file and folder encryption across your entire network. Centrally enforces your encryption policies. Provides audit logs and reports for documenting compliance with internal policies and external regulations. Centralizes key management for data recovery and sharing. File Shares uses the same key management as other SafeGuard Enterprise modules. You can easily create keys and encryption rules for Active Directory user groups. Manage fluctuation in your work groups easily without needing to re-encrypt confidential documents. Uses standard MSI packages for central, unatteNFSd installation. Download the Sophos Encryption for File Shares Data Sheet (PDF). *Price per device. Quantity must be 50 or greater. Purchase of USC is required! *Price per device. Quantity must be 100 or greater. Purchase of USC is required! *Price per device. Quantity must be 200 or greater. Purchase of USC is required! *Price per device. Quantity must be 500 or greater. Purchase of USC is required! For more than 1,000 clients, please use Quote Request Form! Updates and Support Contracts (USC) includes: 24/7/365 support, unlimited support cases and authorized contacts, software downloads, updates and maintenance, phone, email and web-based support channels, access to Support Knowledgebase, support forums and new subscriptions, basic incident handling. *Price per device. Standard Maintnenance includes 24/7 Support and Updates. *Price per device. Quantity must be 10 or greater. Standard Maintnenance includes 24/7 Support and Updates. *Price per device. Quantity must be 25 or greater. Standard Maintnenance includes 24/7 Support and Updates. *Price per device. Quantity must be 50 or greater. Standard Maintnenance includes 24/7 Support and Updates. *Price per device. Quantity must be 100 or greater. Standard Maintnenance includes 24/7 Support and Updates. *Price per device. Quantity must be 200 or greater. Standard Maintnenance includes 24/7 Support and Updates. *Price per device. Quantity must be 500 or greater. Standard Maintnenance includes 24/7 Support and Updates.